Like fish to a bait, thousands of Strokes fans piled into New York City’s Madison Square Garden on Friday night. This has been nearly five years too long since the guys took the stage together in the Big Apple. Openers The Grogs and Devendra Banhart (Who went on way too early), barely gained any attention. Elvis Costello, also known as our “April Fools,” joke, came out and played about three songs as a surprise opener as well. No one really seemed to care unless he was about to take off a mask and reveal he was Julian Casablancas. 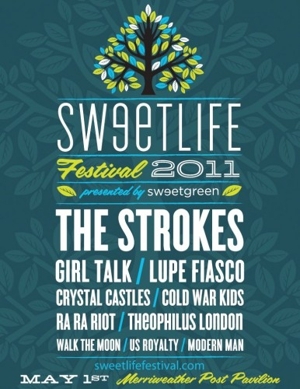 We were there to see The Strokes. Cue the 9:30 curtain call and on walks the five familar faces. 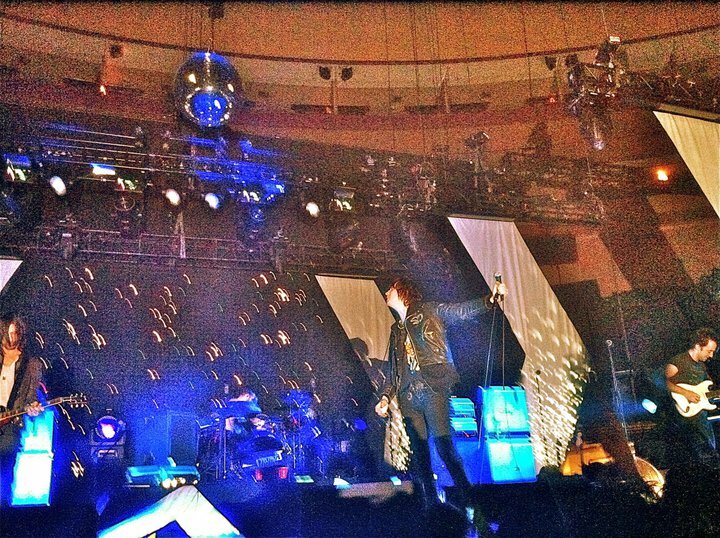 The crowd gave them one of the biggest welcomes I’ve ever seen and The Strokes seemed to be more than thankful. They wasted no time before launching into “Is This It,” a clever first song. Right away we knew every word, so much that Julian commented on it. The chemistry of the band seemed to be back. 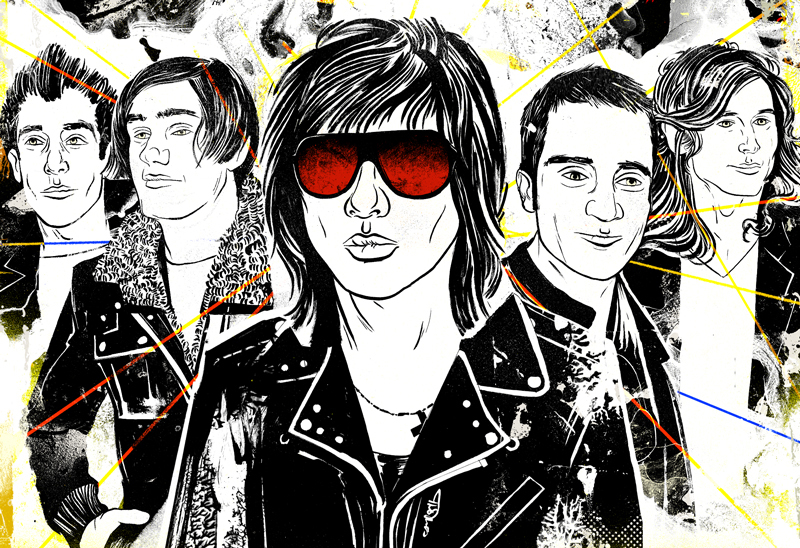 They were tight, and not sloppy by any means, even when Casablancas messed up on a couple of lines. Hey, it happens. If you didn’t tell me they were on a hiatus, I would have thought they were playing together every night for the past year together. It was that great. 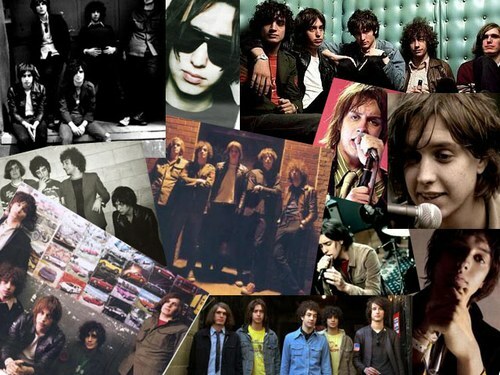 Bands rarely play so perfectly, then again, no band is The Strokes. Elvis Costello appeared onstage in the midst of “Taken for a Fool,” which seemed to be magical for some or killed it for others. It takes a lot to impress Strokes fans. A lot. Nick Valensi’s and Albert Hammond Jr.’s guitars intertwined with every single strum and pluck as they held the songs together. Nikolai Fraiture’s bass was smooth and emphasized every note perfectly. Fab Moretti provided brillian percussion bringing up the backbone of the band, even with the occasional use of the drum machine. Casablancas’ voice was dead on with every note and the crowd was right there with him. Jumping into the audience pit a few times, he weaved his way through the crowd and never stopped for a minute. This is always something amazing about the band. They don’t make the fans feel like outsiders, but part of what’s going on. Climbing on speakers and upper levels, Casablancas was determined to get your attention at any cost. 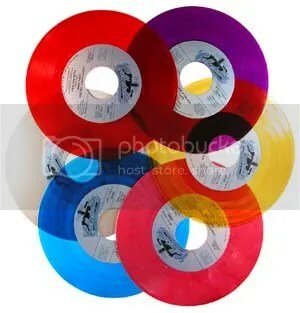 What was that line that Jason Lee said in “Almost Famous”? …”You know what I do? I connect. I get people off. I look for the guy who isn’t getting off and I MAKE him get off.” This my friends is Julian Casablancas. A man who will bend over backwards to make sure you are having a good time and look cool as hell doing it. A whopping hour and a half later and a short encore, the band closed with “Take It or Leave It.” Just how we remembered it. Ful of energy, an explosion of sound, a jump in the crowd and smooth but raw vocals. As the band left the stage for the night, you could see 25,000 smiling faces. 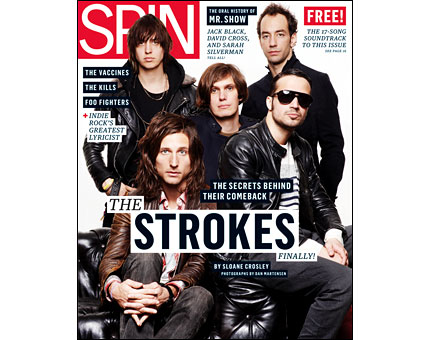 In case you’ve missed seeing their glowing faces on your newstand, The Strokes issue of Spin recently came out last week. In a special feature called “Behind the Comeback,” the magazine talks to the guys, seperately, getting a glimpse into all of their personalities and the problems the band have been having as a whole. It’s a good insight for the diehard fans or those just wanting to know more about the guys. Spin covers everything from Albert’s drug addiction to the great and not so great side projects of the past five years. You can also take a peak at the issue online, HERE at Spin Magazine.